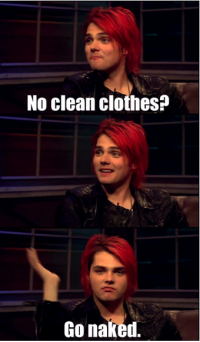 No Clean clothes?. LOL. Wallpaper and background images in the My Chemical Romance club tagged: mcr my chemical romance gerard way my chem. You need to be crediting the person on Tumblr who made the fan art, not Tumblr. And make sure you credit the original maker of the image, not just the people who reblog it.